Choosing a company name is the first and most important step in starting your LLC. Be sure to choose a name that complies with Colorado naming requirements and is easily searchable by potential clients. Your name must include the phrase “limited liability company” or one of its abbreviations (LLC or L.L.C.). Your name cannot include words that could confuse your LLC with a government agency (FBI, Treasury, State Department, etc.). Restricted words (e.g. Bank, Attorney, University) may require additional paperwork and a licensed individual, such as a doctor or lawyer, to be part of your LLC. 2. Is the name available in Colorado? Make sure the name you want isn't already taken by doing a name search on the Colorado Secretary of State website. 3. Is the URL available? We recommend that you check to see if your business name is available as a web domain. Even if you don't plan to make a business website today, you may want to buy the URL in order to prevent others from acquiring it. LLC is short for Limited Liability Company. It is a simple business structure that offers more flexibility than a traditional corporation while providing many of the same benefits. Learn more here. 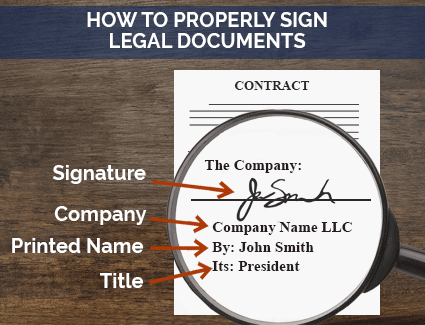 Watch our 2-minute video: What is an LLC? Do I need to get a DBA or Trade Name for my business? Most LLCs do not need a DBA. The name of the LLC can serve as your company’s brand name and you can accept checks and other payments under that name as well. However, you may wish to register a DBA if you would like to conduct business under another name. Learn more here. You are required to nominate a Registered Agent for your Colorado LLC. What is a Registered Agent? A registered agent is an individual or business entity responsible for receiving important legal documents on behalf of your business. Think of your registered agent as your business' point of contact with the state. Who can be a Registered Agent? a Registered Agent must be a resident of Colorado or a corporation authorized to transact business in Colorado. You may elect an individual within the company including yourself. Learn more about the role of a registered agent and why you should consider hiring a professional service. Yes. You or anyone else in your company can serve as the registered agent for your LLC. Learn more here. Is a Registered Agent service worth it? Using a professional Registered Agent service is an affordable way to manage government filings for your LLC. For most businesses, the advantages of using a professional service significantly outweigh the annual costs. Learn more here. To register your LLC, you will need to file the Articles of Organization with the State of Colorado. This can be done online. When filing, you will need to state whether your LLC will be member-managed or manager-managed. We recommend learning more about these two options before you file. File Online with the State of Colorado. Click "file online" below and then choose "limited liability company" to be directed to the state's online LLC registration portal. Instructions: Read these instructions on how to file. If you’re expanding your existing LLC to the State of Colorado, you will need to form a Foreign LLC. What is the processing time to form my Colorado LLC? Instant, once payment has been received. What’s the difference between a domestic Colorado LLC and foreign LLC? An LLC is referred to as a "domestic LLC" when it conducts business in the state where it was formed. Normally when we refer to an LLC we are actually referring to a domestic LLC. A foreign LLC must be formed when an existing LLC wishes to expand its business to another state. If you are filing as a Foreign Colorado LLC learn more here. An operating agreement is not required in Colorado, but it's a good practice to have one. What is an operating agreement? An operating agreement is a legal document outlining the ownership and operating procedures of an LLC. Why are operating agreements important? A comprehensive operating agreement ensures that all business owners are on the same page and reduces the risk of future conflict. For more information on operating agreements, read our Colorado LLC operating agreement guide. Recommended: Use our free Operating Agreement Tool to draft a customized operating agreement for your LLC. Do I need to file my operating agreement with the state? No. The operating agreement is an internal document that you should keep on file for future reference. However, many states do legally require LLCs to have an operating agreement in place. What is an EIN? The Employer Identification Number (EIN), or Federal Tax Identification Number, is used to identify a business entity. It is essentially a social security number for the company. Where do I get an EIN? An EIN is obtained from the IRS (free of charge) by the business owner after forming the company. This can be done online or by mail. FOR INTERNATIONAL APPLICANTS: you do not need an SSN to obtain an EIN. Learn more here. How do I get an EIN if I don’t have a social security number? An SSN is not required to get an EIN. You can simply fill out IRS Form SS-4 and leave section 7b blank. Then call the IRS at 267-941-1099 to complete your application. Learn more here. What tax structure should I choose for my LLC? When you get an EIN, you will be informed of the different tax classification options that are available. Most LLCs elect the default tax status. However, some LLCs can reduce their federal tax obligation by choosing S corporation status. We recommend consulting with a local accountant to find out which option is best for you. Considering Using an LLC Formation Service? We reviewed and ranked the top 5 LLC formation services. Find out which is best for you. Using dedicated business banking and credit accounts is essential for personal asset protection. Separates your personal assets from your company's assets, which is necessary for personal asset protection. Makes accounting and tax filing easier. Recommended: Get $200 when you open a business checking account with Chase. Learn more. Helps you separate personal and business expenses. Builds your company's credit history, which can be useful to raise capital later on. General Liability Insurance: A broad insurance policy that protects your business from lawsuits. Most small businesses get general liability insurance. Professional Liability Insurance: A business insurance for professional service providers (consultants, accountants, etc.) that covers against claims of malpractice and other business errors. Workers' Compensation Insurance: A type of insurance that provides coverage for employees’ job-related illnesses, injuries, or deaths.In Colorado, businesses with one or more employees, excluding officers and LLC members, are required by law to have workers' compensation insurance. Get a free quote with ADP. How much will the right insurance cost you? Click here to find out. See the image below for an example. This ensures that you are signing on behalf of your LLC and not as yourself. Learn more on how to protect your business & personal assets by reading our article - How to Maintain your LLC Corporate Veil. Do I need business licenses and permits? To operate your LLC you must comply with federal, state, and local government regulations. For example, restaurants likely need health permits, building permits, signage permits, etc. The details of business licenses and permits vary from state to state. Make sure you read carefully. Don't be surprised if there are short classes required as well. Fees for business licenses and permits will vary depending on what sort of license you are seeking to obtain. Federal: Use the U.S. Small Business Administration (SBA) guide. State: Apply for or learn more about licenses, permits and registration with Colorado's Department of Regulatory Agencies. Local: Contact your local county clerk and ask about local licenses and permits. Recommended: If you are a first-time entrepreneur, consider having a professional service research your business’ licensing requirements. Our friends at Startup Savant have reviewed and ranked the top five license research services. Depending on the nature of your business, you may be required to register for one or more forms of state tax. If you are selling a physical product, you’ll typically need to register for a sellers permit through the State of Colorado’s website. This certificate allows a business to collect sales tax on taxable sales. Sales tax, also called "Sales and Use Tax," is a tax levied by states, counties, and municipalities on business transactions involving the exchange of certain taxable goods or services. Read our sales tax guide to find out more. If you have employees in Colorado, you will need to register for Unemployment Insurance Tax and Employee Withholding Tax through the State of Colorado's website. Read our LLC Tax Guide to learn more about federal income taxes for LLCs. Colorado requires LLCs to file an annual report with the Colorado Secretary of State. Filing Window: Due within a 5 month period starting 2 months before and 2 months after the date in which the LLC was formed. For more information, visit Colorado's Secretary of State website. Late Filings: Colorado charges a $50 penalty if you miss the annual report deadline. In addition, failure to file your annual report for 2 months will cause your LLC to be designated as "Delinquent," resulting in loss of certain rights and privileges. LLCs may face fines and even automatic dissolution when they miss one or more state filings. When this happens, LLC owners risk loss of limited liability protection. A quality registered agent service can help prevent this outcome by notifying you of upcoming filing deadlines and by submitting reports on your behalf. Recommended: Incfile offers a reliable registered agent service and excellent customer support. After starting a business, two of the most important things you can do are get professional accounting and hire the right employees. Streamlining these processes can save you time and money as your business grows. Find more information at the Colorado Department of Labor website. Recommended: A payroll service saves you time and makes it easier to follow these requirements. What is the minimum wage in Colorado? The minimum wage in Colorado is $11.10 per hour. How often do I need to pay employees? In Colorado, wages must be paid at least once per month. Track your business finances, including bills, expenses, and income. Simplify your annual tax filings. Syncs with your bank automatically. Matches transactions to invoices, bills and purchase orders. Can be accessed from your phone. Forming a foreign LLC allows your company to operate as one entity in multiple states. If you have an existing LLC and want to do business in Colorado, you will need to register as a foreign LLC. This can be done online. When you are ready to dissolve your LLC, follow the steps in our Colorado LLC Dissolution Guide.